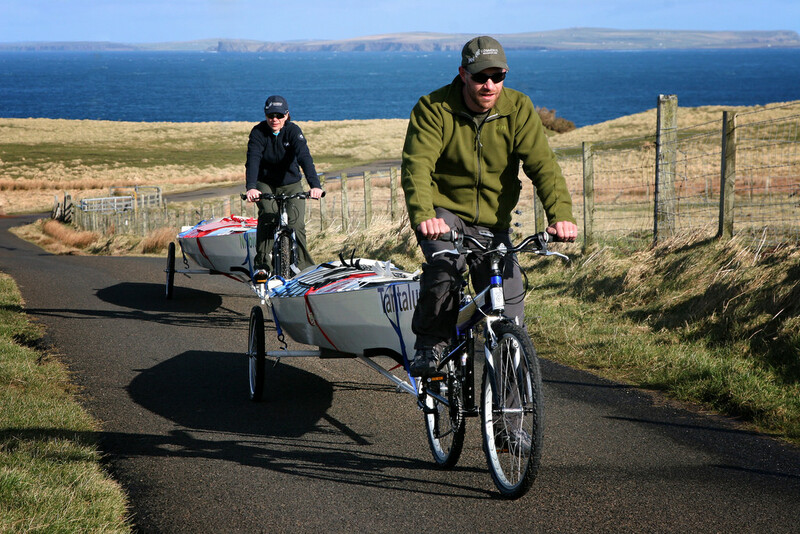 Julie and Colin pulling their rowboats behind their bikes in Scotland. 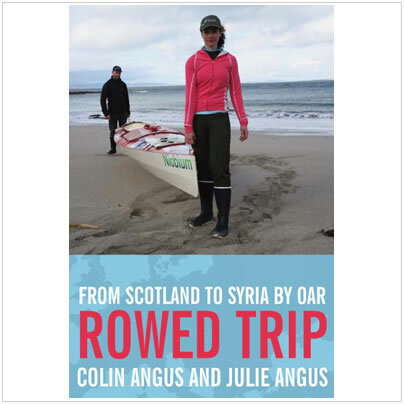 In September 2008, Julie and Colin Angus completed a 7 month, 7,000 km journey from the northern tip of Scotland to the heart of Syria using exclusively human-powered amphibious rowboats. The rowboats were specially designed and constructed for the expedition, and each vessel was fitted with a bicycle and trailer that allowed it to travel not only on water but also on land. Students participated in the expedition via a corresponding school program designed to inspire, motivate and teach kids through adventure. Their course followed ancient transportation corridors traditionally used for trade and migration, navigating rivers, oceans, coastlines, roads, and canals in an interconnected route through thirteen countries. This enabled the team to experience and learn about the rich cultural tapestry that comprises Europe and the Middle East in a manner that promotes environmentally responsible travel as with their previous expeditions. Connecting Scotland and Syria with a human-powered voyage also has a personal significance for the team. Colin’s mother and father both hail from northern Scotland and Julie’s father is from Syria, and the journey allowed the couple to explore their family history. In an age where globalization and cultural integration is the norm, it enabled the duo to reflect on their origins and unravel the events that led to their union in western Canada. The book is available in most North American bookstores and can be ordered online from retailers such as Amazon. The DVD can be ordered through Angus Rowboats.